Head lice infestation (pediculosis), one of the most common contagious childhood diseases, is caused by barely visible insects found almost exclusively on the human scalp. Contrary to popular belief, head lice infestation has little to do with personal hygiene. In fact, head lice are totally non-discriminating and can infest people of any lifestyle, age, race, or socio-economic status. However, it is a serious public health problem because some lice can carry organisms that cause other diseases, including relapsing fever. Since forever, parents have run out to the nearest pharmacy to pick up the chemical laden lice shampoos to rid their precious children of those unwanted invaders. After all, every parent wants to get rid of lice fast. What these well-intentioned parents failed to realize is that the blood veins under their child’s scalp are very close to the surface of the skin and the scalp is extremely permeable to anything placed on it, absorbing up to 80%. Lice shampoos offer up a heavy dose of toxic chemicals all of which are known for causing some very serious side-effects. Check out the most common chemicals used for head lice treatment and their possible side effects. Pyrethrums And Pyrethroids: Pyrethrum comes from the chrysanthemum flower. Though naturally derived, pyrethrins are still pesticides which have recently been banned from agricultural use in food production. The concern is that pyrethrins can cause pneumonia, muscle paralysis, death due to respiratory failure, vomiting, and asthma. (But it is still a major component in head lice treatments such as NixTM). Pyrethroids are synthetic chemical counterparts (as contained in RIDTM) that have similar side effects. Permethrin: Permethrin is a broad-spectrum synthetic pyrethroid insecticide. As above, it also can cause vomiting, asthma and pneumonia, muscle paralysis and possible death due to respiratory failure. Carbaryl: Carbaryl is a pesticide that is often found in head lice treatments, the formulations of which vary widely in toxicity to the nervous and respiratory systems resulting in nausea, stomach cramps, diarrhea, and excessive salivation. Other symptoms at high doses include blurring of vision, affects coordination, causes excessive sweating, and possible convulsions. Now get this. Recent studies have shown that lice are actually becoming more and more resistant to the chemicals in traditional lice shampoos. They are turning into superbugs essentially. This is not an unusual phenomenon. More and more bacteria are mutating and becoming resistant to antibiotics due to overuse. Why wouldn’t lice do the same? What is a parent to do when head lice strikes? Coconut Oil of course! 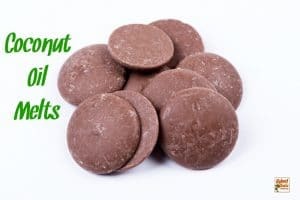 A 2009 clinical trial showed the superiority of a coconut oil as a natural alternative to the conventional treatment from head lice and their eggs. 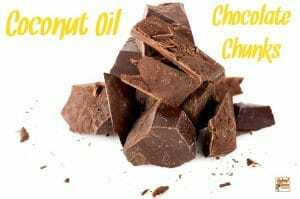 The clinical trial, which was published in the European Journal of Paediatrics involved 100 participants and found that coconut-oil based spray was more effective than permethrin. Other studies have produced similar findings. 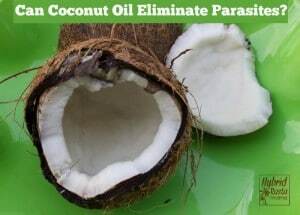 These studies indicated that coconut oil is likely to have a treatment success rate of around 90 per cent, which would make it a fantastic alternative to conventional insecticides like permethrin. 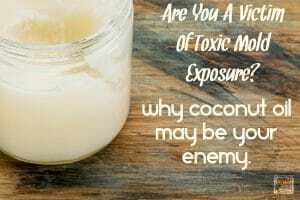 What makes coconut oil so effective in combating lice? 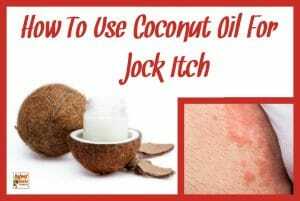 The fatty content of the coconut oil, which persists on the hair and lice subsequent to washing, essentially suffocates the lice and makes it harder for them to maintain their grip on the hair. Score! So just how do you use coconut oil to combat head lice? 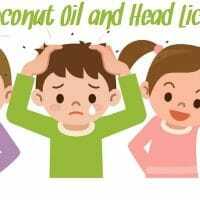 Coconut oil for head lice removal - does it work and how to use it? This natural remedy (plus a little elbow grease) is known for getting rid of lice in 48 hours. 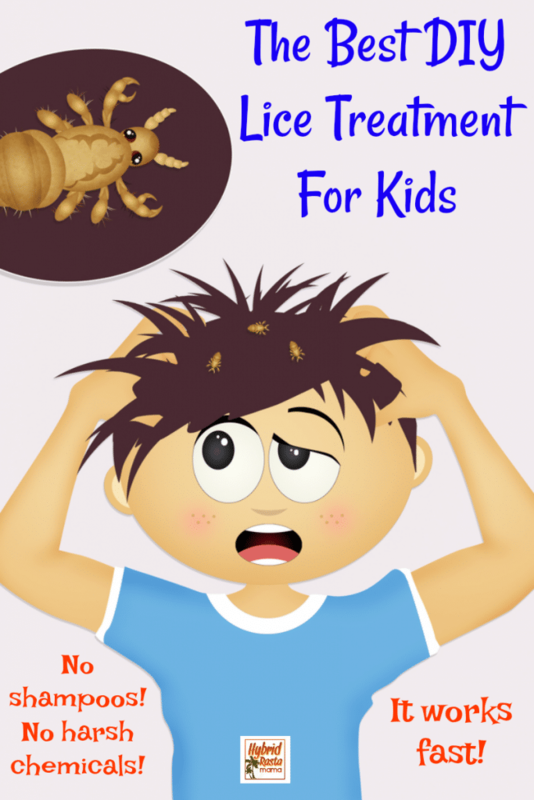 The makes it one of the best lice treatments for kids and adults alike. 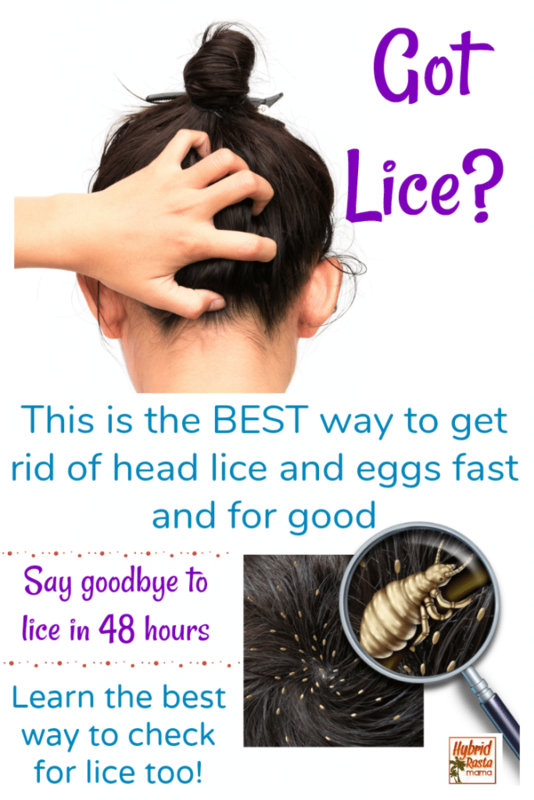 Learn my tips for getting rid of lice and eggs for good! Put one towel around the person’s shoulders and the other towel on the floor so oil doesn’t get on clothes or the floor. Apply coconut oil to dry hair and use the regular comb to get out tangles and to spread the oil throughout the hair. Make sure there are no dry areas. Start combing with the lice comb. Always maintain contact with the scalp. Comb around the head and keep swiping the comb on the wet paper towel to see if anything is coming out. The eggs will appear brownish on the wet paper towel. Keep combing in all different directions (underneath, sideways). Keep swiping the comb on the wet paper towel until nothing else is coming off the head. Have the person wash their hair with dish soap. Make sure they lather it up well to get out the oil. They may use conditioner too. 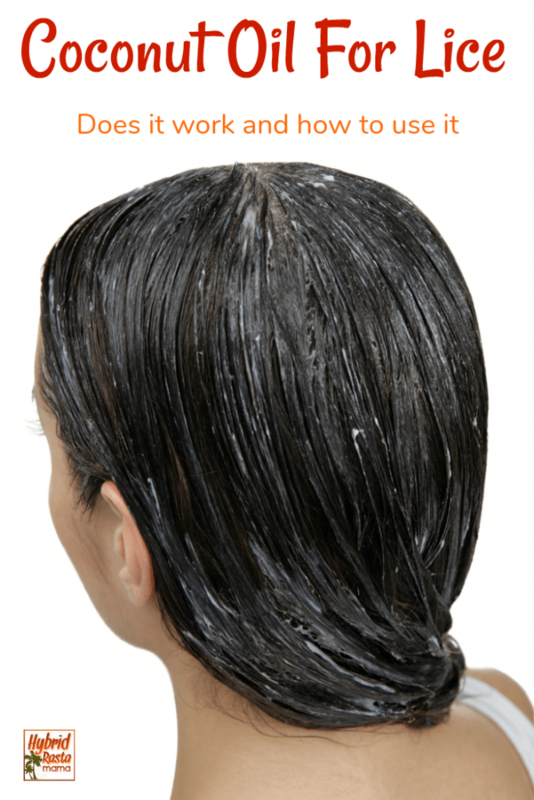 Have person dry hair especially on the scalp area. It needs to be dry in order to re-check for eggs. Section the hair with clips and go thru the hair thoroughly to check for eggs that the comb may have not taken out. If you see one then just pull it out with your finger nails. If you’re seeing lots of eggs still then you didn’t spend enough time with the lice comb and will need to repeat that process. After the initial comb out there are still microscopic eggs in the hair. Lice is a Process to eradicate because of the microscopic eggs. 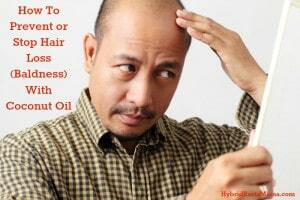 Saturate head with olive oil each night before bedtime. Make sure there are no dry areas. Cover with a light shower cap. (Only for children over 8.) Place a towel across pillow to prevent staining. Oil must remain in the hair for 8 hours to be effective. Lice can hold their breath for 6 or more hours. 2. Use the nit comb and spend 5-10 minutes combing through the hair (make sure you comb in all different directions). Keep combing until you get clean swipes on the wet paper towel. 3. Either wash out oil with dish soap or you can choose to leave the oil in the hair to save time and also deter getting lice again at school. Week 1: Olive oil & combing every night. Week 2: Olive oil & combing every other night. Week 3: Olive oil & combing every other night. After re-checking the entire head you will need to follow the protocol for three weeks to ensure complete eradication as you will still have microscopic eggs that still can’t be seen. Everyone in the household will need to be checked and follow the protocol to ensure all lice are gone. If there are others you are around on a regular basis they should also check for lice. If someone has dandruff, it will not appear on the paper towel. Only eggs, bugs, and lint will appear. If a family member does not have visible eggs, he/she should still sleep in the olive oil for the first two nights and use the lice comb in the morning. Bugs can live off the head for approximately 24-48 hours so the oil will suffocate the bugs if they should get onto your head. After the 48 hour period there will no longer be bugs in your home so nobody is contagious. 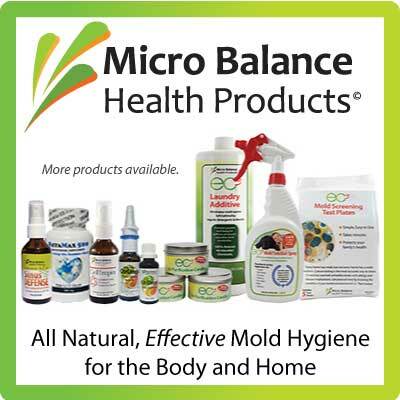 There is no need to clean or treat your environment when you follow this protocol. You should not see bugs after the first two days. While you won’t get rid of lice overnight with this method, you will get rid of lice fast and for good. No more wondering how long does it take for lice to go away. In as little as 48 hours you and your family will no longer have to worry about a lice infestation! How’s that for results? You are absolutely right. Everyone goes through this problem at one time or other, at least in a mild way in school. 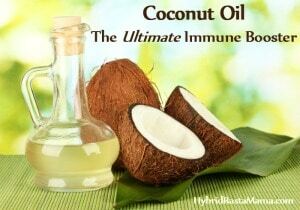 We always dealt with it, with coconut oil. In fact, we regularly applied coconut oil in our hair (usually long, and almost knee length, or at least hip length on average). 🙂 For intense cases of lice or dandruff, we ground the coconut and mixed it with pepper powder and applied it in the hair to get rid of any problems. I totally vote for your post, Jennifer. 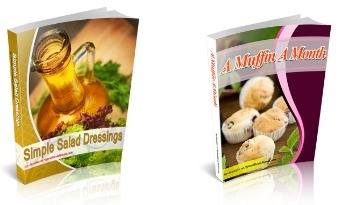 I feel so lucky I grew up with natural remedies for almost everything. Please help me as my daughters have gotten lice from the school. Last two years we were able to stay free of it but it finally caught up to us. I have use the shampoo from over-the-counter that my daughters are still itching. 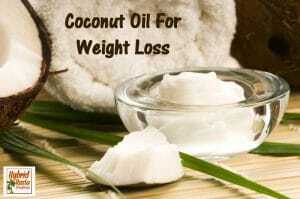 Want to try the coconut oil but with that remove the eggs as well. My hair is processed and I have extensions and I feel like I am itching now should I use the treatment for me. Please advise desperately need to do your help. My daughter had this 2 yrs ago and our school nurse suggested the standard shampoo and when it didn’t work I did some online research and came up with the coconut oil. We did as you stated only let the oil sit on her head for 4 hours with it all wrapped up in plastic wrap and a towel to prevent drips. Worked like a charm! And smells much better than that nasty shampoo anyways. I read the title to your post and my head started itching. This is one subject I hope to never have to deal with again. When my daughter had it we had to treat her four or five times with those toxic chemicals. 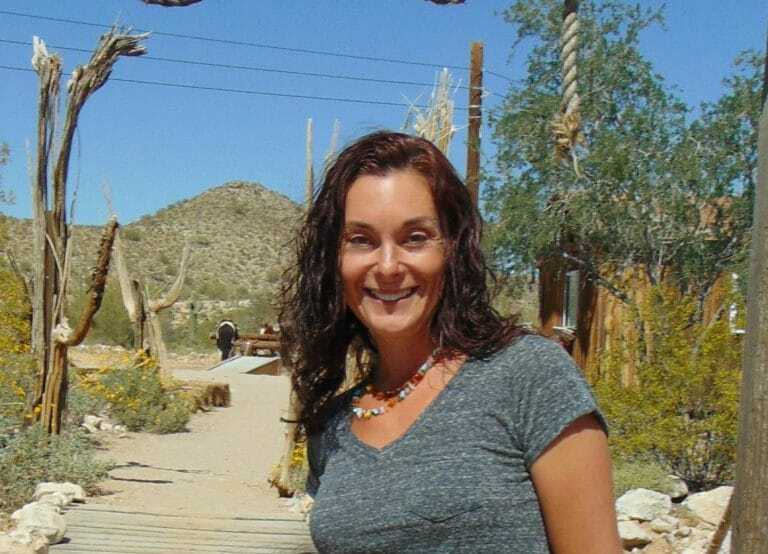 She had extremely thick long hair and those little critters just did not want to give up. I was almost ready to cut her hair short to deal with the issue. It would not be pretty if my son ever got it. His hair is not as long as my daughter’s but it is even thicker. And he would not tolerate cutting it. I can’t say I’m surprised that coconut oil would work, it’s magic!!!!! I will squirrel that one away for when we need it! Thankyou. Wow. I had no idea you could use coconut oil. I’ve used a bottle of cheap conditioner and tea tree oil, as my altenrative to the nasty chemical stuff. Do you mind if I share this on my FB and Twitter? I have so many friends asking me for headlice advice (I’m a ped nurse) that it would be good to share! @Karen Sorry for the delay! Yes, please share away! I am so glad you liked the post! Would moroccan oil shampoo and conditioner work? I mean, it’s all we got around here right now. This has been the worst year for head lice at our school. We have had lice 5 times in our house since November. I get sick to my stomach, thinking of all the chemicals I put on our girls’ skin. I will be ising this method if the need arises again, but I hope and pray it doesn’t! @ Kristi – five time since November sounds like you aren’t catching it but keeping it – like maybe missing just one lice or egg and having it reinfest. It’s harder to get rid of than to contract that many times in three months. Hope coconut oil helps! 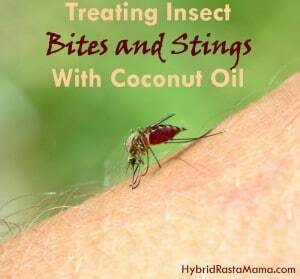 I didn’t know if coconut oil would help with fleas too ?? does anyone have any idea ?? I have heard that it can deter fleas from laying eggs but you pretty much would have to slather your dog or cat in it and I doubt that they would enjoy that! I just made coconut oil at home then I mixed in a CAPful of eucalyptus oil and tea tree oil. I’m using it too massage my pug & chihuahua to repel fleas and they both love it. Also they both smell awesome afterwards. Can also be use on the kids’hair to repel lice. Tea tree oil is toxic to dogs stop using it. Don’t use tea tree on dogs our cats – it’s toxic to both. I have a Chinese Shar-pei who is (sadly) prone to flare-ups of Familial Shar-pei Fever, a genetic disease specific to the breed. It starts with hot spots and ends in renal failure and death if not treated quickly. When the hot spots come up, I use a homemade mix of liquid castile soap, coconut oil, honey, lavender essential oil and powdered oatmeal to condition her fur and skin, provide external relief and prevent infection. Internally, the coconut oil helps reduce the build-up of amyloid proteins that cause the FSF issue in the first place. I have never had a problem with her getting fleas. Even when we had another dog move in who had them bad, my Pei never had that problem. 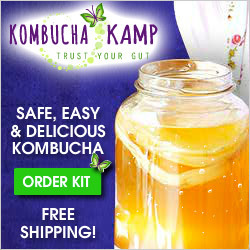 The secret: a tablespoon of apple cider vinegar in her water daily. Once we got the other dog accustomed to it, they left him, too. Ticks don’t like it either. If you do find a tick on your pet, dousing it with liquid coconut oil may help persuade it to un-burrow itself (an empty nail polish container and brush is handy for this). Lavender or lemon oil (one single drop of either, mixed into the coconut oil) will add an incentive for it to get out (both are safe for cats as well as dogs, dogs can also handle eucalyptus or peppermint). Never pull a tick that is still embedded: if you don’t get the whole thing and the head stays in, it can cause a nasty infection. You should not use eucalyptus oil on children under 10. 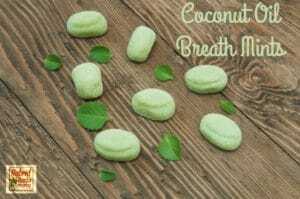 It is toxic for them and can cause respiratory problems. 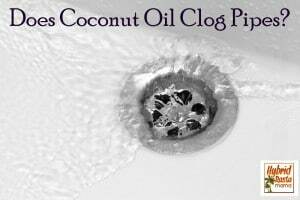 I know this is late but yes coconut oil does kill fleas the same way it kills lice. Coat your dog with coconut oil, make sure it gets to the skin. Leave it on min 12 hrs, I usually leave it for a few days and just cover the furniture. Then bathe as normal. Tea Tree isn’t ‘toxic’ but dogs and cats have a hard time processing it can can become I’ll if it is not diluted properly. Please don’t use unless directed to by a holistic vet. I just want to know exactly what brand of coconut oil I should be using to get rid of nits? If someone could help me that would be lovely. I have been using the coconut oil from Costco cause its organic and seems stronger than the Walmart brand. My daughter didn’t have nits last night but I noticed that when I put the oil in her hair, there were a couple of lice I had missed but were already dead from the oil. I pull out nits with tweezers. The Walmart brand is crap to be honest. You made a good choice switching to the Costco brand! i will try this on my 5 kids and my self. i have organic virgin coconut oil i buy at sams club. i already use it to make bath stuff and to cook with. never thought to use in our hair. thanks for the advise. 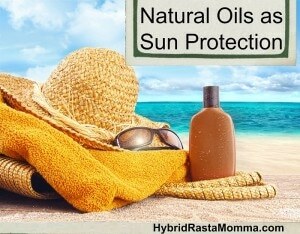 what about using any essential oils besides tea tree oil it burns the crap outta of my head and leaves it sore. You could try using Thieves essential oil or Oregano essential oil in place of the Tea Tree. Or simply use only one drop of the tea tree. And yes, it does burn! Would I be able to add the coconut oil directly to our shampoo to prevent lice? 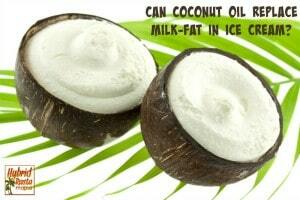 You can certainly add coconut oil to your shampoo but keep in mind, it might solidify in colder weather. You then end up with these “blobs” in your shampoo. 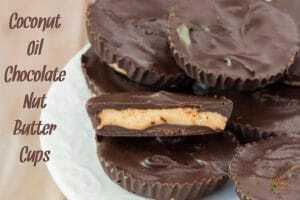 Better to melt a little right before the shower and just mix it as you need it. 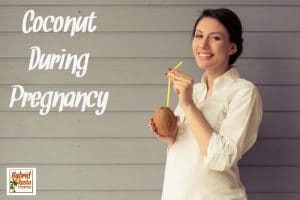 i’ve got nutiva organic coconut oil, will that work? Yes it will Tracey! Nutiva is loved by many! 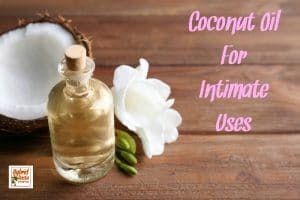 Does the coconut oil need to be organic/virgin? Is coconut shampoo good to use or the shampoo that has tea tree oil in it? The coconut oil does not need to be organic but it would be best if it was unrefined. However, it refined will work as well. Coconut shampoo with tea tree oil would be a great combo to give your treatment plan a boost! I see this post is pretty old, but I’m in a bind, so here goes… would this work with mites? Bird/mouse but unsure. Hi Kristine! I looked into this and it seems as though it could very well work for mites. 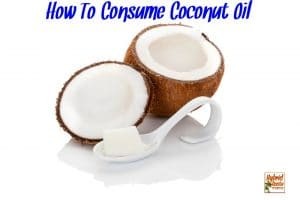 The only thing is that once the coconut oil gets on a bird, it will mess with the feathers’ natural oils and could cause them issues with flying. So if it is an indoor bird that doesn’t need to escape a predator, I would give it a try!